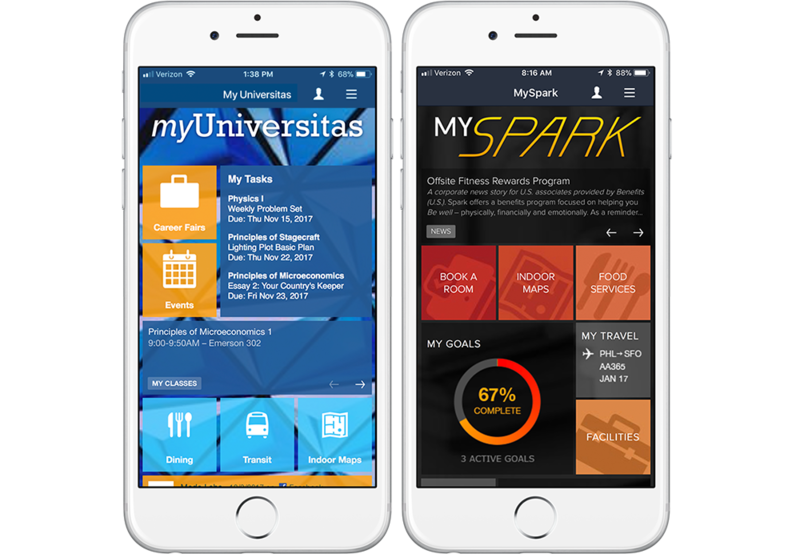 Transform your campus or company messaging within a branded digital experience for your entire community, including students, employees, visitors, customers, and partners. Strengthen your brand with a personalized mobile-first experience available to this community on-demand, anywhere and anytime. Make your brand stand out with a mobile presence customized to your community’s needs. Emphasize your branding and positioning by tailoring a personalized user experience to students, employees, visitors, and more. Provide prospective students and employees with easily accessible public information through highly customizable features and modules such as news, promotions and social media. Secure internal only information with authentication for students and employees, while offering a beautiful, unique experience for people experiencing your brand for the first time. Empower your entire community to boost your brand’s reach and influence. Mobile communications enable you to reach your students and employees where they already are—on their phones—and drive them to engage around brand content. 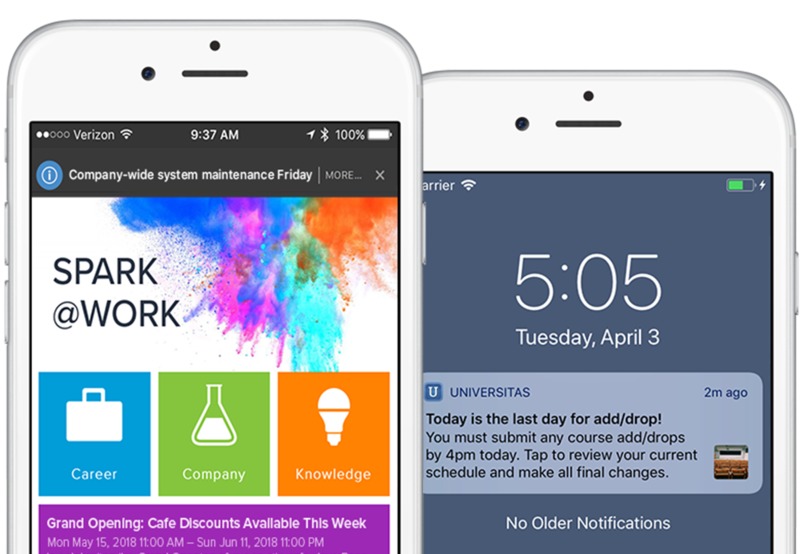 Deploy rich push notifications or in-app banner messages announcing company and campus news and direct students and employees to the social module where they can share news with their own personal networks. Create an omni-channel communications strategy that allows for two-way communication and user feedback, all from their mobile device. Get the most out of your investment by intelligently enhancing your app armed with unique user behavior insights. Dig deep into specific mobile usage data not available in any other analytics platform through your 100% brand-owned channel. 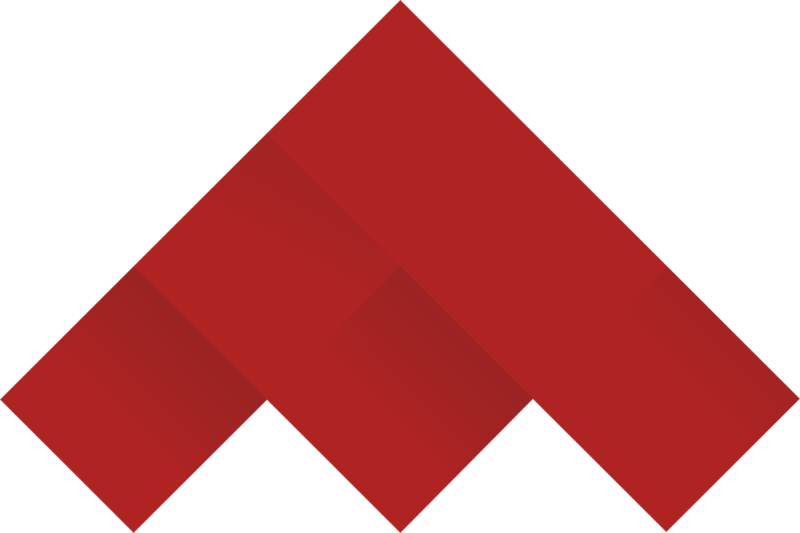 "The ease of use provided by Publisher allowed the Marketing team to reach their audiences on mobile, and project a technologically progressive approach in an industry known for being slow to adopt new methodologies." One of my favorites, Modo Labs...This is the future. This is where things are going... You need a product like Modo Labs.